Hey! 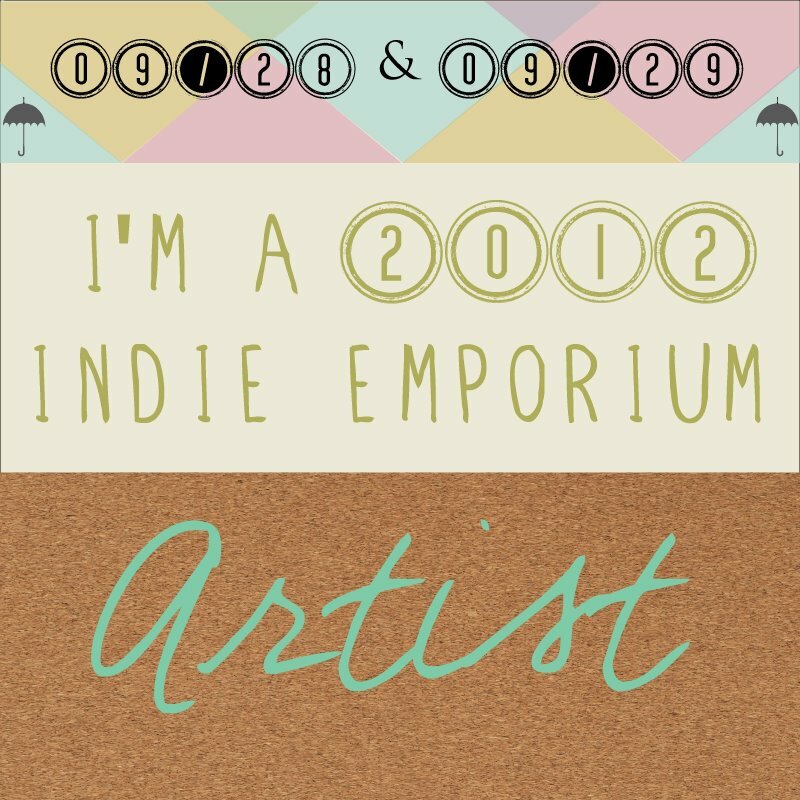 Just a quick note to let you know that I will be selling Gingiber goodies Friday and Saturday at the Indie Emporium in Tulsa, Oklahoma. If you are in the area please drop by, I'd love to meet you! 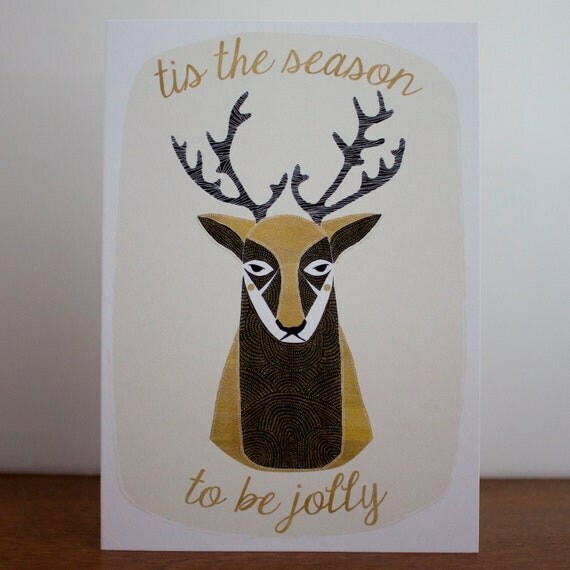 Available in packs of 8 or individually, these illustrated cards are filled with beautiful detailing and gold and black hues. 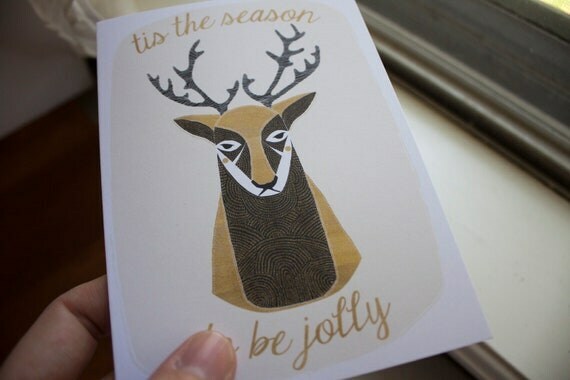 They are perfect card for the holidays. Lately, well, I guess I should say, constantly, I work. I draw. I fill orders. I package. I plan new product. Fill wholesale orders. 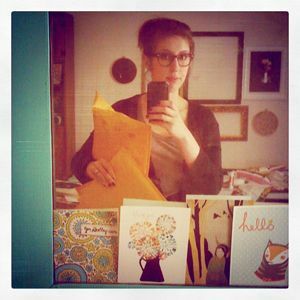 Return emails. Pretty standard for a small business run out of a spare bedroom. I've been thinking about my future. And I know that I next year I am going to make some changes for a better balance in my life. Not sure exactly how it will look, but I want to enjoy life a bit more. Rarely do I really get dressed in the mornings, instead slouching around in pajamas or jeans and a shirt, running around, not able to give either my business nor parenting my full attention at any single given time. I am still planning how next year needs to be different. More time for drawing. More time with my kids. Maybe actually hiring some help. Just a little help with packaging. I've also decided not to do any more "flash sales" online. I just finished up a Fab sale. And it went really well. But I knew going into it that it would be my last. For many reasons. Business reasons. Personal reasons. But regardless, I just cannot afford to do them anymore. The prices are so low to customers because I make very little money per item (we are talking only $2 on some items) on the sales. I've always liked the idea of reaching a broader audience with these sales, while also allowing long time customers a chance to own Gingiber items for much less. Now, as I am expanding my wholesale side of business, knocking on retailers doors, working on licensing some of my art, I do not want to "cheapen" my brand. I want to strengthen it. These flash sales are good. Especially for me who had invested quite a bit of money in new product development and needed some money quickly. But now I need to think about the big picture. Thanks for reading, friends. Sometimes I just like to write it down. Put it out there. I've just added a new fox onesie design to Gingiber! 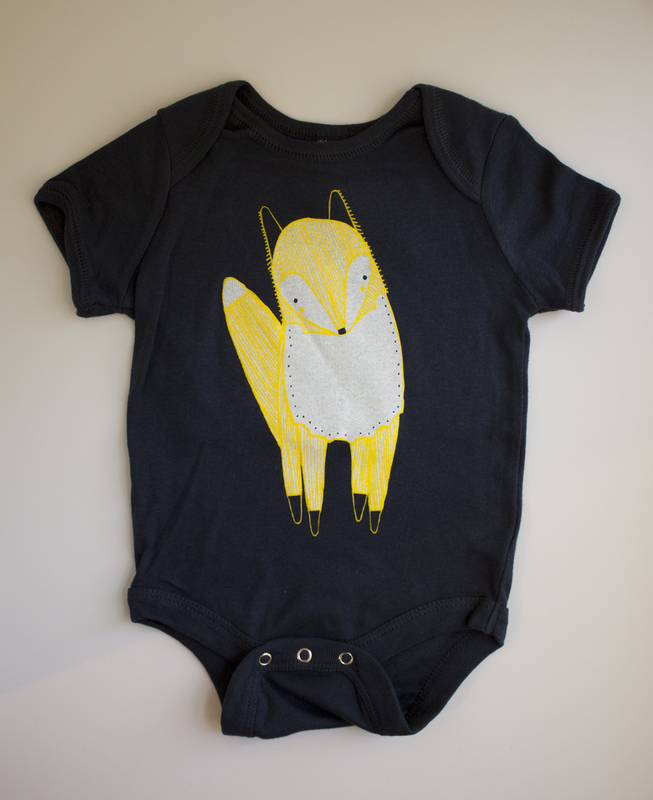 And then we have have a neon yellow and grey fox on navy onesie. I love them. 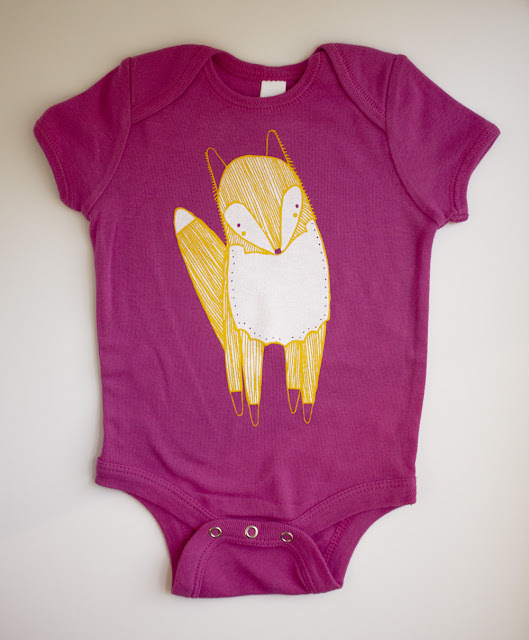 All babies should have at least one fox onesie in their wardrobe. And these foxes are super awesome! 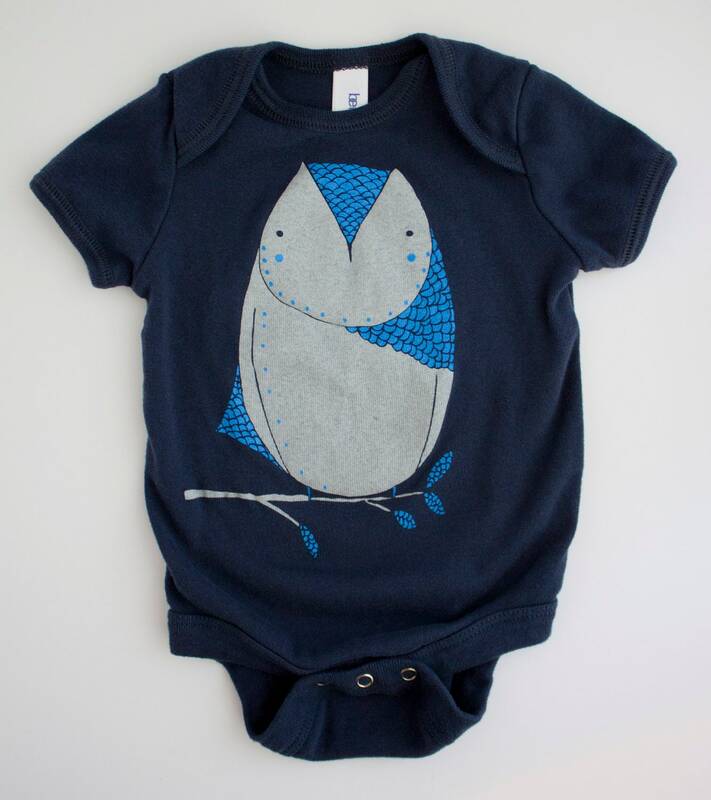 So you should purchase your dapper toddler this particular onesie. 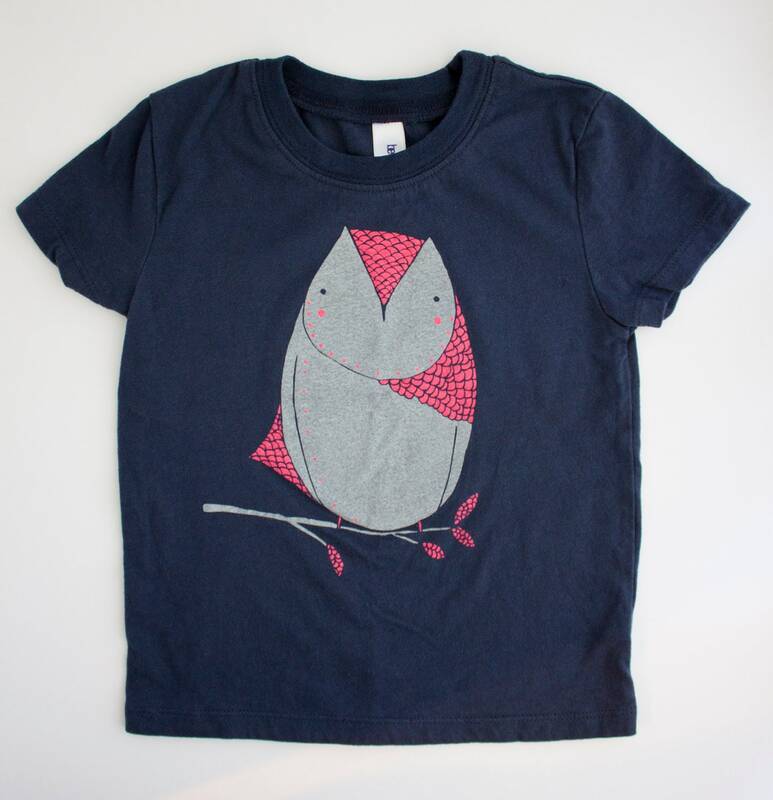 The design is also available on toddler shirts, size 2T, 3T, and 4T. Stay tuned because we will have ANOTHER new shirt design to reveal later this week! I seriously agonized for weeks about the color story with this design! But I am soooo excited with how these shirts turned out. They are exactly what I wanted. I LOVE THEM! I really hope that you like them too! I am so excited. 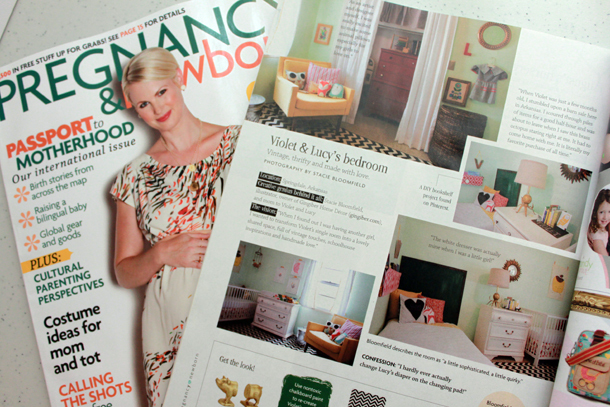 This is our first real bit of printed press, so when my preview issues arrived in my mailbox this past Saturday I was over the moon! I think we are on page 64, so if you get a moment the next time you are in your local bookstore, take a look! 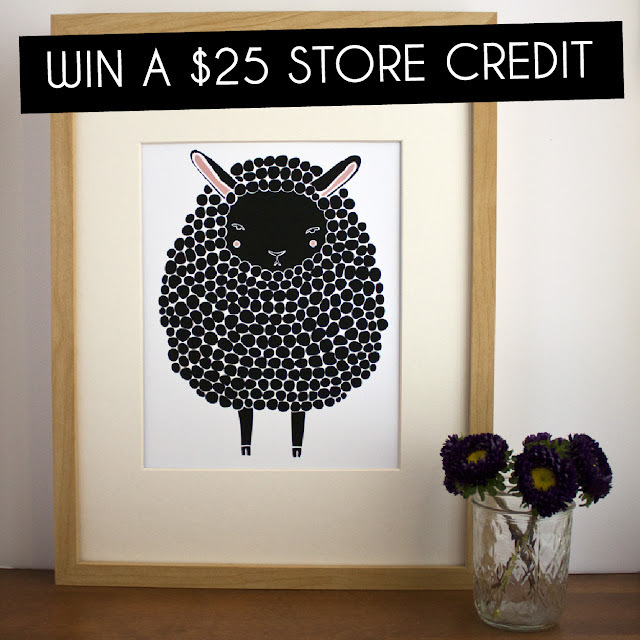 BTW: Still a few hours left to enter to win a $25 store credit to Gingiber! Read this post to enter. 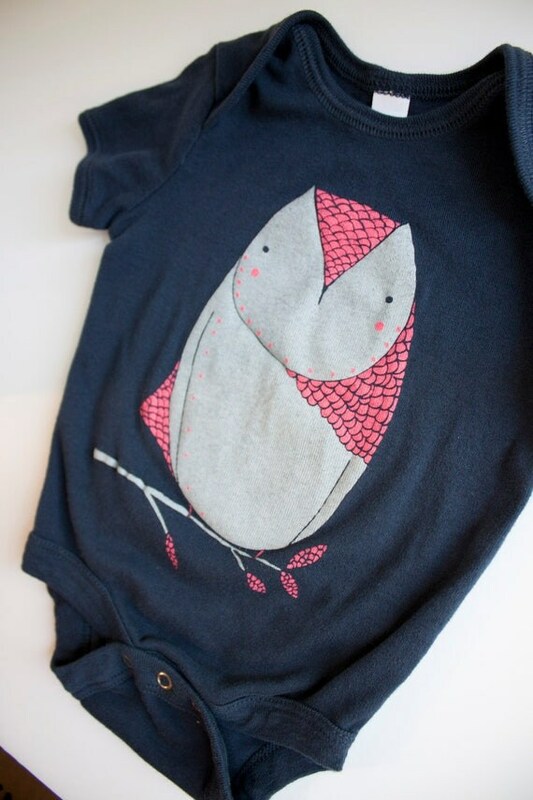 I shared with you a mock-up of some owl onsie designs back in August. Today I got the onsies back from the printer and GOOD GRAVY I love them! Just wanted to show you the finished product. 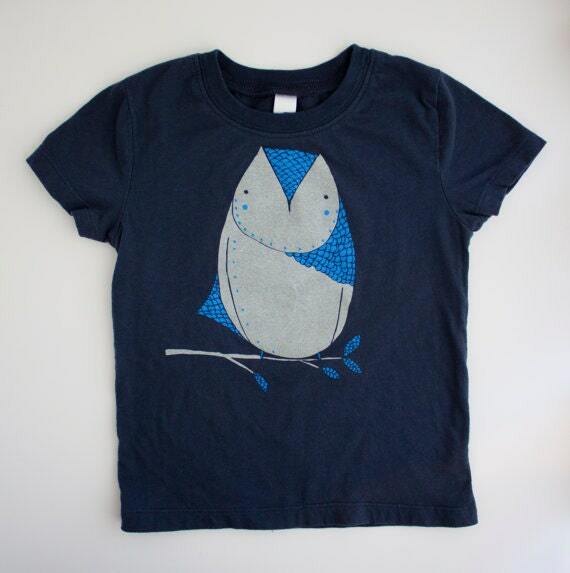 I will take real product photos next week and have them in the shop. Hi friends! A quick reminder that my Fab.com sale is live! And as of today you no longer have to have an account with Fab.com to view the sales! Also, it has come to my attention that Fab is not shipping internationally. So I decided to offer a 15% off coupon code for my international friends at my Etsy Shop. Just enter "OVERSEAS" at check out. You see these wee black sheep? 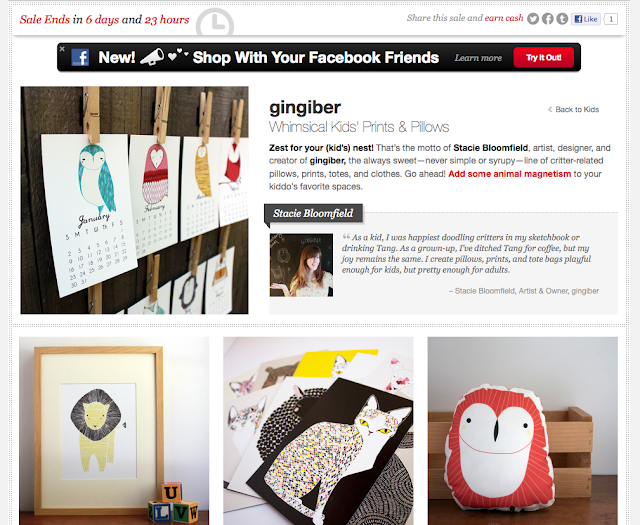 Welp I've been busy sewing them along with tons more animal pillows for my Fab.com sale which begins tonight at 7 PM! You will also find prints, calendars, and totes so if you are looking for a great deal check it out! We try and take my kids to the farmer's market on Saturdays. This morning felt crisp and lovely with the temperature in the 60's and a bright blue sky above us. We all got cinnamon rolls, and I sipped an amazing cup of coffee. Nathan likes the quiet, so we wandered a bit from the town square and found an empty sitting area with plenty of room for Violet to run around while the rest of us enjoyed our breakfast. It is easy to feel content when you are with your favorite people, enjoying the best weather and your kids are happy. Recently my heart has been feeling a bit discontented. Like a big part of me knows that we have less than a year left in Springdale and so I have been emotionally trying to disconnect sooner rather than later. I was a late starter even trying to put any roots down in Northwest Arkansas, and was in complete denial that we really lived here for the first 2 years. This is our 5th fall in Springdale. And our last if Nathan can find an Assistant Professorship once he graduates. I feel like I have this terrible habit of closing chapters in my life like I am shutting a book that I will never read again. Somehow when something ends, like when we left Springfield, MO, holding onto anything that reminds me of that time is painful and I guess it is just my instinct to "turn off caring". Disconnect. Move on. I don't know really where I am going with this. For the longest time I felt like there was nothing in Arkansas for me. It has taken me years to find the bits of magic. Like the farmer's market on a sunny Saturday Morning. Or the botanical gardens on a summer night. Or a favorite bakery that always hits the spot. We've been discussing the future a lot. Nathan is beginning the terrifying process of applying for jobs. He has yet to defend his dissertation but the end is near. It seems nearly impossible to make any decisions with so much uncertainty is in the air. All I know is that my husband needs a job beginning next August. Sometimes I wish we could stay in Arkansas so as to not have to start all over again. It would make our extended families much more happy if we stayed in the MidWest. But my heart is stirring. Yearning for some change. A little bit of adventure. Even if all that happens is that we end up in Ohio or something. Even if it will be bittersweet. Soon the tough decisions will be made. We will put our home on the market, and cross every finger and toe hoping that it sells. We will be the people who were just "passing through" Arkansas on our journey. 5 years seems like such a small measure of time over the course of a lifetime. Hey friends! 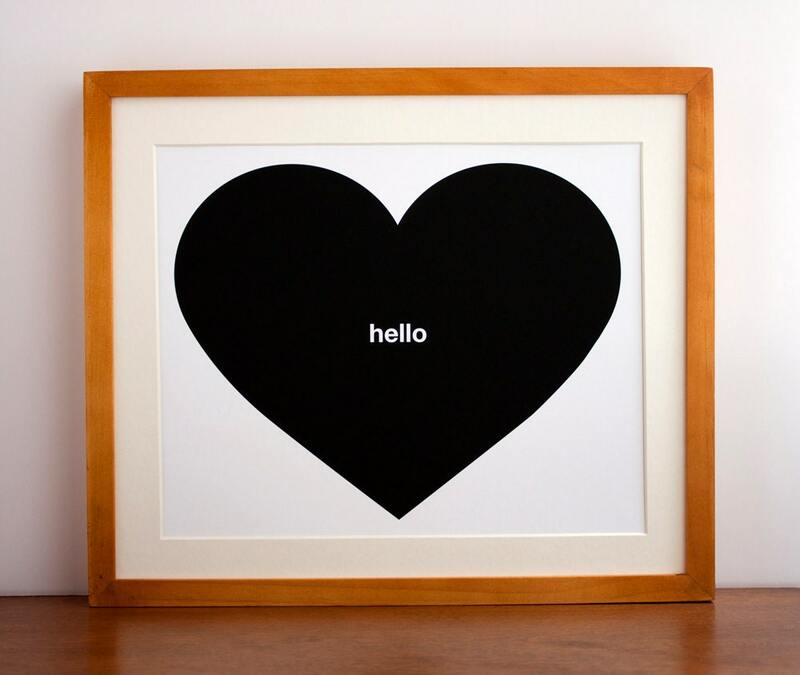 Just a quick note to let you know that I am running another Fab.com sale next Wednesday. Tons of prints and pillows, and just *a few* onsies, toddler shirts, and rubber stamps. So mark your calendars! I will post the link as soon as it is live!